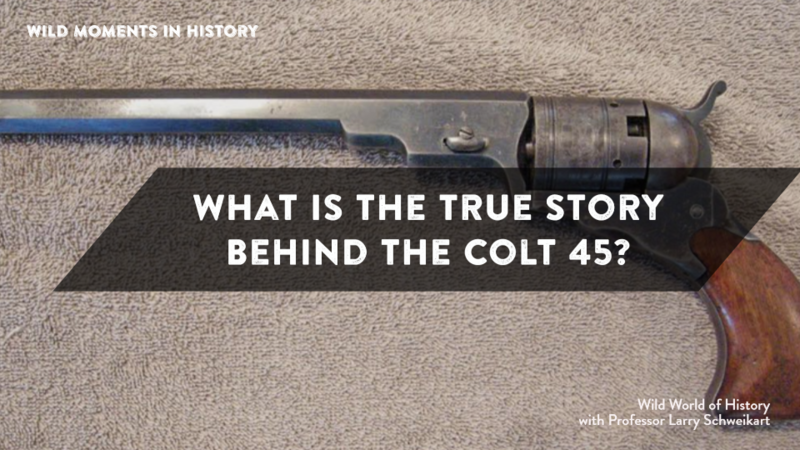 Did you know that famous gunsmith Samuel Colt was broke, and his company closed before he was saved by a cavalry charge? Samuel Colt had conceived the idea of a revolving pistol while a young man on a voyage to India. His parents sent him there to straighten him out (It seems young Sam liked to blow things up, and once set fire to his school). When he returned, Sam’s father gave him the money to hire a gunsmith to manufacture the weapon—only it was extremely complex and had a habit of misfiring. Army tests concluded the revolver wasn’t effective or practical. Colt’s armory went out of business, and he ran off to New York City to escape his creditors, nearly penniless. Meanwhile, a troop of Texas Rangers was attacked by an body of Indians five times its number, but, armed with Colt’s “ineffective” pistols, defeated them. The leader of the Rangers was a man named Walker. That’s right: Walker, Texas Ranger. Anyway, he wrote Colt and described the battle. Walker said that with minor improvements, the pistol would be a highly effective combat weapon. Now secure, Colt began aggressively marketing his new pistols, giving politicians, soldiers, and celebrities beautiful engraved gun sets. He hired the famous artist George Catlett to paint pictures of men using Colts to fight and hunt. Colt staged a first-rate marketing campaign, and in 1851 a massive display of Colt firearms was the hit of the Great Exhibition in London. By then, gold beckoned in California , Mormons were trekking to Utah, and a stream of fortune hunters, frontiersmen, and settlers headed West, nearly every one of them carrying a Colt. For further reading, see Harold Evans, They Made America (2006) and the PBS video series of the same name.